Snapshot Saturday is presented each week by Alyce at her blog At Home With Books. There are lots of people participating and it’s great fun. Be sure to stop over there after you’re finished here to check out some great photography and to leave some comments. I really hadn’t gotten any good photos this week and I wasn’t sure what I wanted to share from my archives. Doesn’t that sound fancy?! My stash of old photos…that sounds more like me! How about another photo or two from our day at Paws Farm for Colette’s birthday. 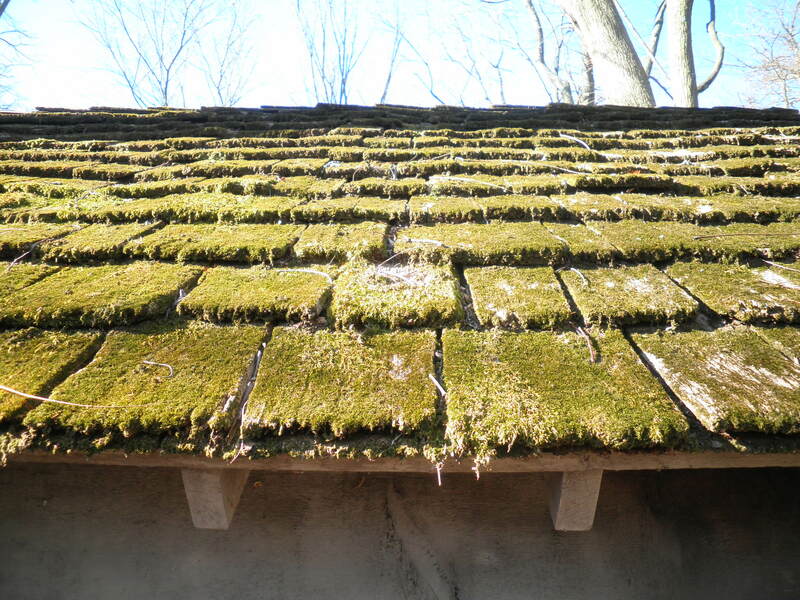 Moss on the roof of the old smoke house at the farm. From a slightly different angle. 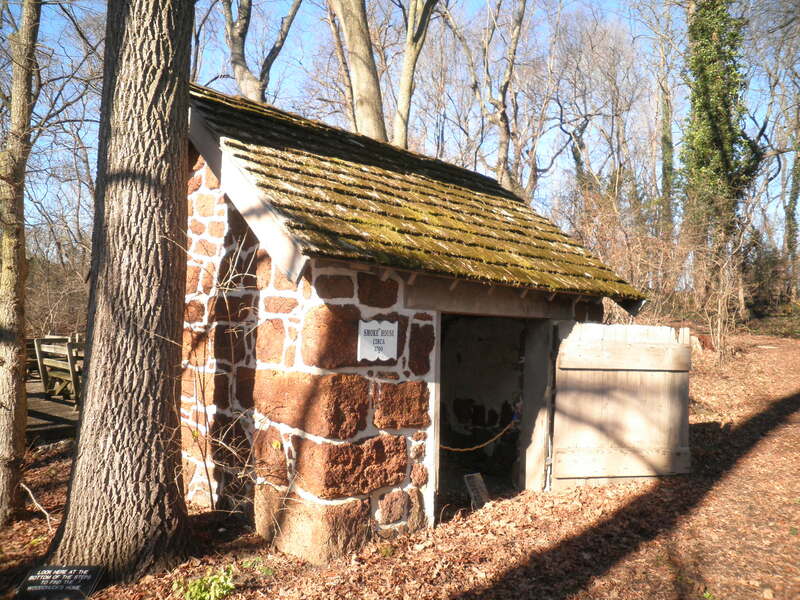 The smoke house itself. It was such a beautiful day and I loved trying to get creative with the shots. Be sure to check out more snapshots at At Home With Books! This entry was posted in Uncategorized and tagged Snapshot Saturday. Bookmark the permalink. I love it! See, you are an awesome photographer.You see beauty in things that other people would pass right over…ladies and gentlemen…my talented sister! Thank you, Thank you, Ms. Ele. I thought it was cute! what a neat little house!! looks so european!! my SIL is putting together a photo collage for my brother’s 40th bday in april so i went thru all my albums this week to find pics for her…so fun to go thru the stash! thinking of you, fran – hugs!! Thanks, Cathy, you’re such a sweetie. I love going through old photos. Ele and I have a ton we need to go through. Love the idea of a collage for your brother’s birthday! Happy Saturday to you, what a charming little brick house. Hi Marie! I loved it and thought it was so great for photos! This is such a neat place, you kids would Love it! The smokehouse is soooo cool! Thanks, Sheila, I thought so too! First off, sorry to hear about the loss in your family! I hope that you are doing okay under the circumstances. Secondly…beautiful house. Love the picture! Thanks, Ameena, I appreciate it so much. We’re doing ok. Glad you like my photo! Neat! I love when my bloggy friends post things I’d probably never see in person! Thanks, Vicki. I’ve never seen anything like that myself and certainly not close up. It was really neat. 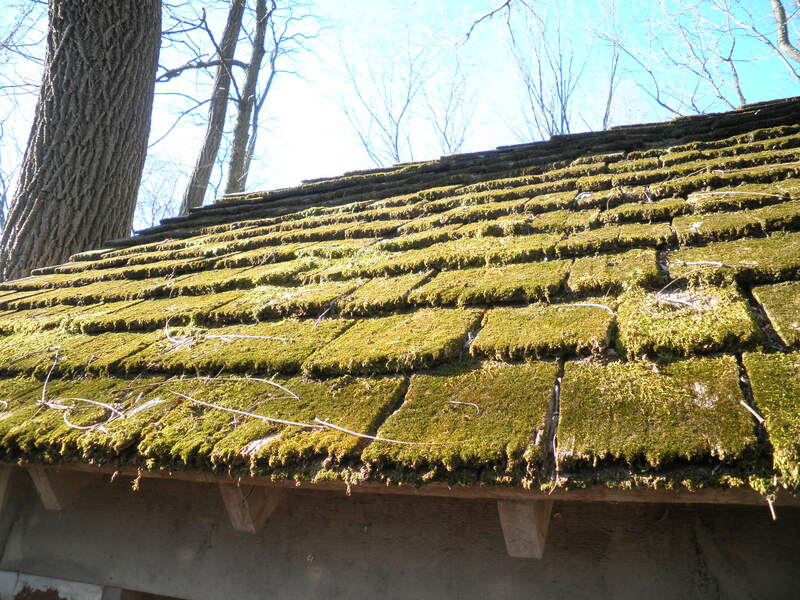 I love the mossy roof, and am very curious about what is smoked in the smoke house? Glad you like it, Ginny! I don’t think anything is smoked there any longer. It’s an old farm and the buildings are preserved as they were when it stopped being a farm. It’s a nature reserve sort of place now. Animals for kids to see. Very interesting. Glad you like it Christine! Love these shots of the smokehouse! Isn’t it amazing how nature will find a way to thrive? 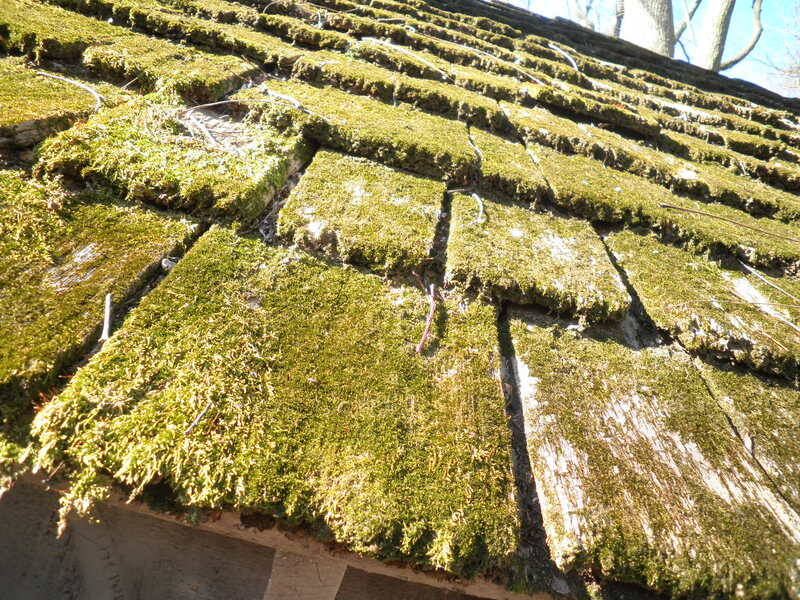 Even on old roof shingles! Glad you like them, Susan. I thought they were really unique. Thanks, Paulita! It was such a gorgeous day for photography! I hadn’t thought anyone would think it was big, but now I see your point! Thanks, I thought it was really cool! I love the very first shot. Great stuff.